Laurie Williams is passionate about wellness. As a registered nurse who is certified in radiology and critical care, she understands the importance of living a healthy lifestyle. Her preferred methods of staying in shape include running, running, and running! Since completing her first marathon in 1999, Laurie now has 20 marathons and over 75 half marathons under her belt. 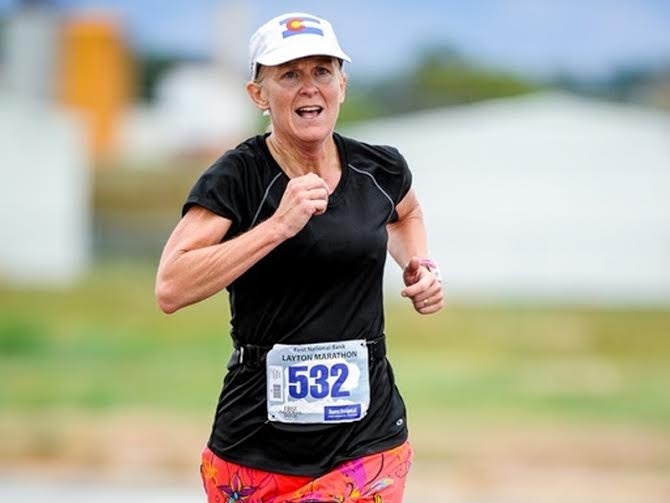 Laurie is heavily involved in the local running community in and around the Denver area. In her spare time she teaches a cardmaking class and stays busy raising an energetic bull terrier with her husband of 30 years.